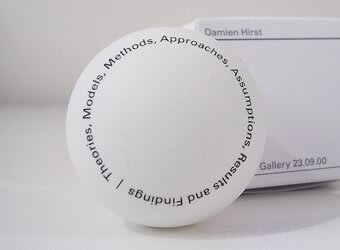 Boxed ping pong ball issued as an invitation to Hirst's seminal 2000 show at New York's Gagosian Gallery. 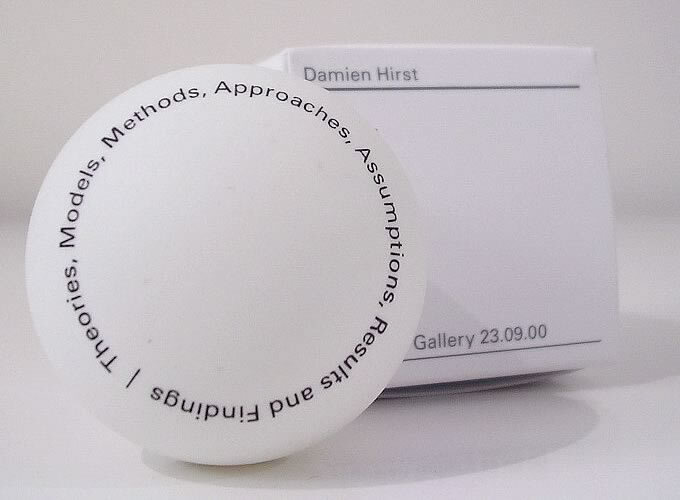 Born in 1965, Hirst is the most successful of the generation of so-called Young British Artists. Famous for his pharmaceutically inspired imagery and use of preserved animals, Hirst's work successfully fuses grand gesture with minimalist simplicity and the direct appeal of pop art.